Saint Petersburg is known for its engaging history, mind-boggling ballet and art collections which can be called ethereal in every sense of the term. Now, there are various attractions in Saint Petersburg, but you cannot check out all of them at one go. So, all you need to do is zero in some of the best ones. 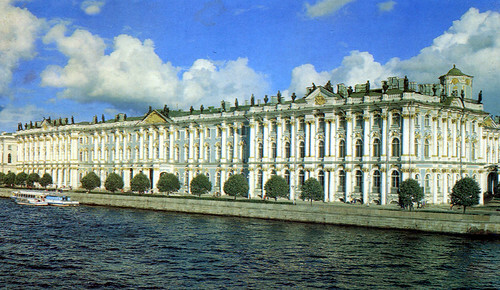 Winter Palace, Nevsky Prospect, Peterhof etc. are some of the sought after tourist attractions. For more information on this bit, you can look for the best Russian tours to Saint Petersburg on the Internet and make a list of the places you should visit. Winter Palace is the Buckingham Palace of the Romanov dynasty. It’s a must visit if you are in Saint Petersburg. Built 250 years back, this is a pure delight to one’s eyes. It’s not easy to check out each and everything inside the palace, but still, try your best to get hold of all the intricate details. It’s almost like a city inside a city, with 300 rooms, and each of these rooms a lot to offer. They have three million exhibits, so now you know how difficult it is to get a close-eye view of each of these collections. It will give you a complete feel of the 18th-century architecture. A stroll on Nevsky Prospect between seven o’ clock to nine o’ clock will give you a panoramic view of Saint Petersburg. The view is one of a kind as it is not crowded and there’s no traffic during this stipulated time period. So you can soak up the calm which this place exudes. Plus, if you are a food buff, then you should definitely visit Yeliseyev Merchant’s shop. It’s quite famous among the locals. Another attraction on Nevsky Prospect is the Singer House. If you are a historian or in awe of historical facts, Peterhof should be there on your bucket list. It’s the former summer residence of the Russian Tsars. 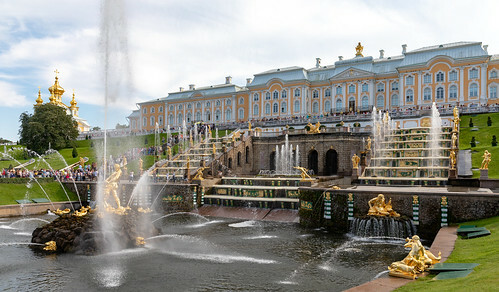 It is also known as the Russian Versailles with its gardens, palaces, fountains and golden pavilions. Also, if you are planning to visit this marvel, avoid weekends. This theatre has staged some of the well-known ballets and operas of Saint Petersburg. During the Tsar era, this used to be quite famous among the elite and ruling class. Wealthy families and authors such as Alexander Pushkin used to come here. The productions here are considered to be of international level. Also, this place maintains a dress code, so before you make your way to this place, ensure you fit the prevailing dress code. If you want to have a complete view of Saint Petersburg, then you should definitely visit this cathedral. The view from its colonnade is magical. However, if you are planning to visit the cathedral, brace yourself for a steep climb. Built in 1858, the cathedral has no lift. You need to climb 262 steps to go to the top of it. Previous: What is the Most Luxurious Casino in Las Vegas? What is the Most Luxurious Casino in Las Vegas?